This free book club meets for discussion at the museum on the 2nd Wednesday of the Month from February to October and starts at 6:15 pm. This unforgettable memoir, by one of our most gifted writers, introduces us to the young Toby Wolff, by turns tough and vulnerable, crafty and bumbling, and ultimately winning. Separated by divorce from his father and brother, Toby and his mother are constantly on the move, yet they develop an extraordinarily close, almost telepathic relationship. 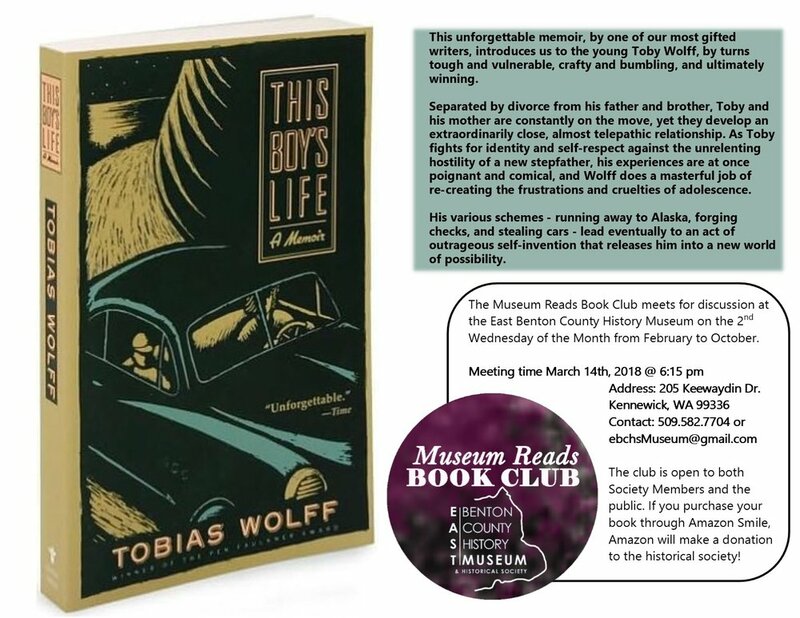 As Toby fights for identity and self-respect against the unrelenting hostility of a new stepfather, his experiences are at once poignant and comical, and Wolff does a masterful job of re-creating the frustrations and cruelties of adolescence. His various schemes - running away to Alaska, forging checks, and stealing cars - lead eventually to an act of outrageous self-invention that releases him into a new world of possibility. Open Late for First Thursday!